※The detail information to be shown by click the ticket kind button. ※Note the premium seats are only available for 2 days through tickets and limited 20 tickets. ※Sales will end as soon as the tickets are sold out. Ticket purchase is available at Pass Market! Advance ticket is available at Loppi at LAWSON or MINISTOP until 23:59 pm, the day prior to the event. We offer the initial ticket purchase for the mobile website member! We offer a special value for those who wish to purchase reserved tickets by 10 people or more. 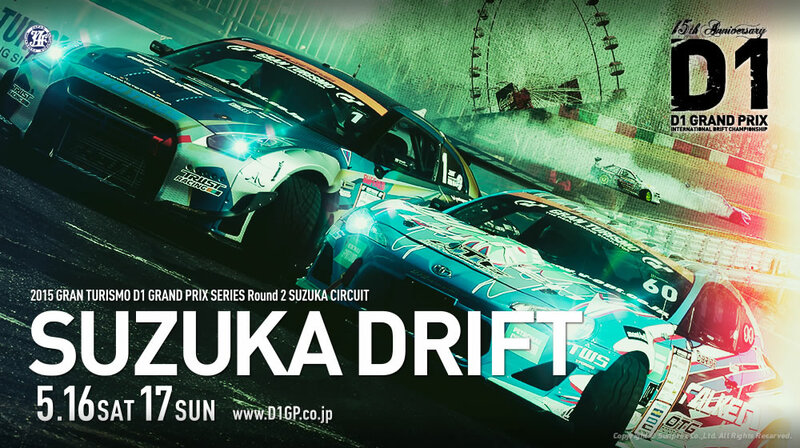 If you tell “ I want to watch SUZUKA DRIFT with 10 or more people” and your desire date as well as number of people when you call, your ticket charge will be free. Ticket issue is processed normally like you can receive your ticket at Loppi at LAWSON or MINISTOP. You can not miss such a great opportunity.